South Georgia Island is the largest island in the South Georgia and the South Sandwich Islands group. A mecca for wildlife photographers, ecologists and documentary makers like Sir David Attenborough. I've only visited South Georgia Island once, but very much hope to return. Hungry King Penguin chicks awaiting the return of their parents near Sailsbury Plain on South Georgia Island. 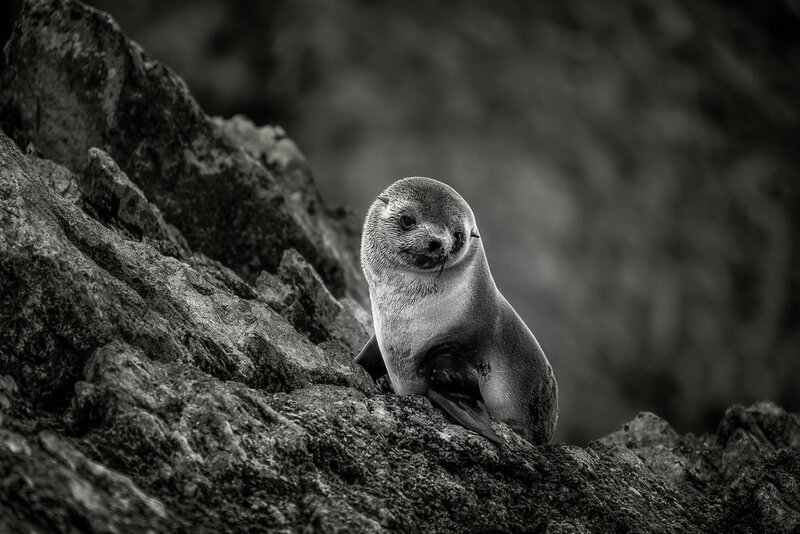 In addition to the dramatic landscape you’ll be somewhat overcome by significant populations of southern fur seals, elephant seals and King penguins on the island. What’s more albatross, petrels, prions, shags, skuas, gulls and terns can also be found. If you love wildlife, South Georgia offers a wide range of photographic opportunities. 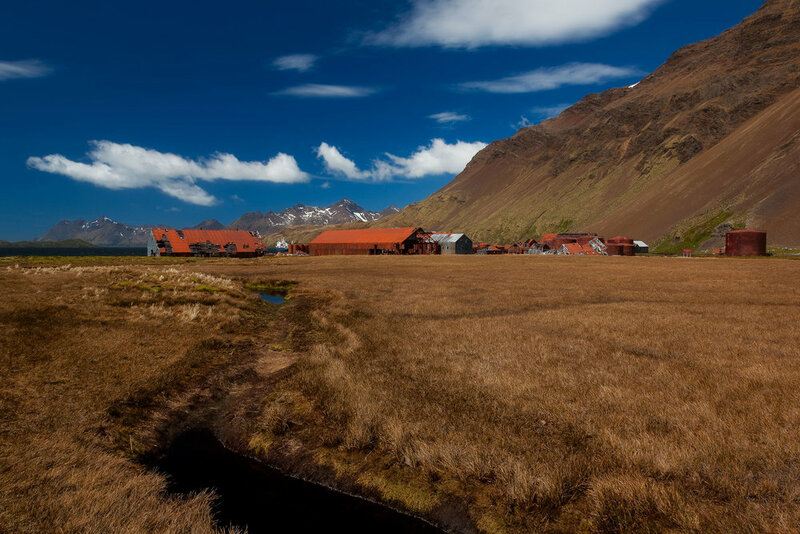 What’s more the dramatic landscape and visits to the historically important Stromness and Grytviken Whaling stations will add variety to your photography adventures on the island. All you have to do is find your way to this isolated, barren and largely inhospitable group of islands in the southern Atlantic Ocean. In this case that's almost certainly going to be as part of a tour group. The trick then is to join the right one. For example, the one that I co-ran. Hopefully I’II get to run another photography tour that includes the magnificent South Georgia Island in the not too distant future. It’s said that rats, introduced accidentally onto the island are responsible for the loss of tens of millions of ground-nesting bird’s eggs and chicks over the years. I understand that an eradication program, the largest of its kind in the world, has now resolved this terrible problem. Here’s a photo made on a relatively short walk between the atmospheric Salisbury Plain and the Grace Glacier. I love how the low lying cloud seems to hover over the mountain tops. Our numerous shore excursions were made from zodiacs. This particular landing required me passing through the gauntlet as I made my way through a bunch of feisty seals. I can remember facing down the harassment to make the short jaunt back to shoreline easier for my customers. But, being the last one to head off back to the zodiacs, I had no such support. And those pesky seals made the most of it. Once offshore I was able to make a few last photos of elephant seals and, just meters away, this abstract image made on the fly from the zodiac. I love the momentary patterns formed on the water by the motion of the zodiac. Immediately after I made the photo those patterns were gone. If you’re thinking about a trip to Antarctica I most certainly would recommend considering an itinerary that includes South Georgia Island. It’s now a haven for wildlife and, other than a few non-permanent workers and scientists, the only people you’re likely to see there will be folks from your own tour group. I can’t wait till I return.